"Palo verde flowers, along with other factors, cause allergies for Arizona newcomers over time." Illustration published on Thursday, Sept. 20, 2018. However, the mass crumpling of tissues never seems to end during seasonally dictated times, and ASU professionals have concluded that allergies can spring up anytime of the year, allergy season or not. According to Elizabeth Makings, a research specialist in the School of Life Sciences and director of the ASU Herbarium, allergy season can be attributed to local plant pollenating times as well as the dust and particulate matter problem in the Valley. In addition to ragweed, other grasses and crops grown in agricultural fields can trigger allergies. According to the UA Health Sciences Center, any plant-produced wind-borne pollen is likely to be an allergen. Makings said a common misconception in the Valley is that palo verde pollen is a main allergen. She said this would be very unlikely as palo verde does not create much wind-borne pollen. However, it’s not just native desert plants that are instigating allergies. According to Makings, many non-native plants introduced to the desert environment as ornamentals, for example olive trees, are causing issues. The UA Health Sciences Center lists the trees and shrubs of olive and white mulberry, weeds such as Russian Thistle and Australian Saltbush, and grasses including Bermuda grass as non-native instigators of allergic reaction in the Southwest. The site states that different pollen types in urban areas like Phoenix and Tucson are affected when non-native plants and trees, some being allergenic, are introduced. However, there are other factors causing allergic responses on campus. Even the built environment can be an aggravating factor. According to the UA Health Sciences Center, urbanization has increased the amount of exposure to pollution, which increases the amount of people affected by allergies and asthma. According to Joseph Blattman, an associate professor in the School of Life Sciences and a principal investigator within the Biodesign Center for Immunology, Vaccines and Virotherapy, allergies are the result of antibody responses to things that the immune system doesn't want to make antibody responses to. Seasonal plant and dust allergic response falls under a type one immune response. According to Blattman, there may not be a lot that can be done to prevent allergic responses because allergies are caused by genetic predispositions in addition to environmental effects. For students, moving is currently not an option, so for now, they will stick to the drugstore armory of Zyrtec and Claritin. Lilly Thurlow, a junior studying medical studies, is an emergency medical technician supervisor and student worker at Health Services. She said students come into Health Services complaining about allergies all-year long, but especially after big allergy events. "(More students come in) after particular dust storms or drastic weather changes," Thurlow said. "Especially in the spring when all of the plants on campus are in bloom." At ASU Health Services, allergy sufferers can seek relief in the form of allergy shots, administered if the student has a predetermined allergy. 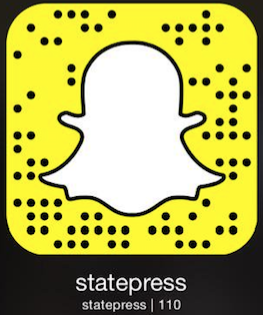 Reach the reporter at mshrikan@asu.edu and follow @MayaShrikant on Twitter.